Here are some facts on children’s use of their phones. Most kids get their first phone at age 10. The most common activity is texting. Almost a third have sent text messages to their parents even though everyone involved was in the house. Seventy-six percent of kids access the Internet from the family room, down from 85 percent four years ago. A quarter of kids now have private access from their bedrooms. Fifty percent of kids begin using Facebook, Instagram, Twitter and Snapchat at age 12 or younger. The study was done by Influence Central, a marketing firm. For $5 we can finally stop moaning about the clunky look of Windows10. “Start10” is a $5 program that makes 10 look like 7. We, like most of the users we have spoken with, don’t like the colored squares on the Windows 10 startup screen. They were designed for touch screens, under the delusion that these were the wave of the future. The wave of the present turned out to be a big shrug, as most people said “who cares,” or words to that effect. It’s much faster to find what you want by simply typing or clicking. Perhaps best of all, Start10 returns the old search box. Click the “start” orb to see it. We find it faster than using Windows 10’s “ask me anything” search, which often defaults to a web search when we’re looking for something on our own machine. Who designs this stuff? Click start and “universal applications” to see a list of all the Windows 10 apps on your machine. If you miss the Windows 10 start menu, click on “Windows 10 menu” and you’ll see those color squares again, showing things like weather and news. You can try this return to good ol’ days for free with a 30-day trial at Start10.com. If you like it, the price is a straight $5 and there are no add-ons — an unusual marketing style these days. 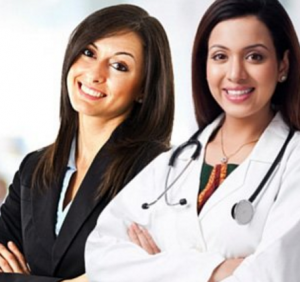 GlowPink.com is a place for women to ask health and beauty questions from doctors and other experts. Free. Joy got a good answer to a question about eye health from a doctor in India. NPmaps.com has maps of all 59 National Parks. Go to npmaps.com/latest-updates/bit-fun-popular-pages for a list of the most popular maps. Bryce Canyon wins. Big Bend National Park in Texas is number two. They also have detailed maps, showing just camping areas, or just walking trails, etc. “One third of Prescribed Antibiotics Unnecessary” is the subject of an article in JAMA, the Journal of the American Medical Association. Many conditions go away on their own, the study notes, including the common cold, bronchitis, sore throats, and ear infections. Overuse of antibiotics leads to “superbugs,” since some of them always survive, and those are really dangerous. The fastest Internet Service Provider, according to Speedtest.net, is Comcast, with a download speed of 104 megabits per second. T-Mobile has the fastest speed for phones. Click “awards” at Speedtest.net for more comparisons, or test your own speed. At Bing.com/explore/desktop you’ll find a free Microsoft program that puts a small search box, with links to weather, news and “trending images.” (“Trending images” always lead off with female celebrities, for reasons we fail to understand.) If you scroll through those you get other stuff. Hover over the small “i” for information, and you’ll get a caption. If you don’t like today’s photo, click the recycling symbol for another one. 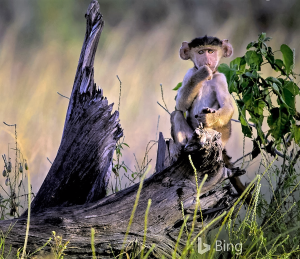 A photo of a baby baboon in Botswana was cute, but we cycled through dozens more, from Texan clouds to Chinese rice paddies and Venezuelan hot springs. For Mac users, we like the free background images at HDWallpapers.net and ThePaperWall.com. Once you’ve saved a picture, go to “System Preferences,” “Desktop and Screensaver” and then Desktop. Click “add” to add the one you just downloaded. After reading that 19 percent of children between the ages of 5 and 11 have untreated tooth decay, we thought we’d look at dental aps for children. 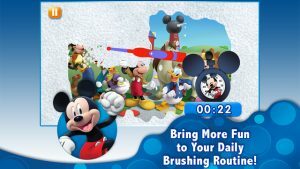 “DentiClean” is a $2 app for iPhone and iPad that helps children ages 5 to 11 brush their teeth properly with princess, ninja and other characters. If the tablet or Smartphone is nearby, It takes a photo of the child in action and emails it to a parent.